On the heels of Research In Motion’s disappointing announcement Thursday, company shares have taken a 12 percent dive Friday. The Waterloo-based company revealed it didn’t expect to launch any BlackBerry 10 powered devices until late 2012 at the earliest, giving more fodder to ouster calls of RIM’s co-CEOs. This year has been bad enough for the handset maker as it is – this could be the final nail in the coffin. Our readers think so, too. A recent TechnoBuffalo poll showed that 62.27% think RIM is doomed. The company endured outages, failed, stagnating products and flatlining market share. Many expected BlackBerry 10 to be the company’s saving grace, but with the delay, RIM’s future performance outlook isn’t looking too bright. Initially, RIM predicted BlackBerry 10-powered smartphones would arrive early next year. “This could be game over for the BlackBerry franchise,” analysts at Canadian brokerage National Bank Financial wrote in a note to clients. With Apple, Android and Windows Phone devices only gaining in popularity, it may be too little too late for the company that once led the industry. With the crucial holiday season in full swing, BlackBerry 7 smartphones are lagging behind the competition. As a result, RIM shares have reached a low not seen since 2004. The next few months will surely be crucial if the company is to survive in the long term, if at all. 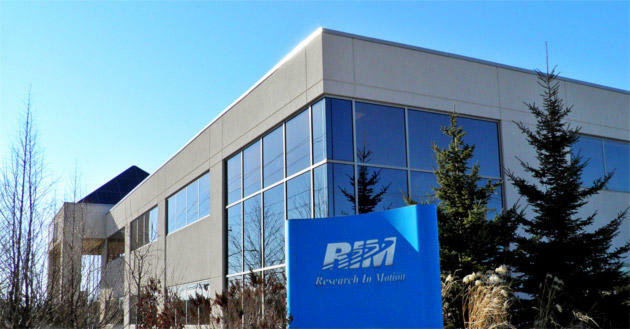 In order to achieve a brighter future, RIM will need to change its thinking or bring in a new CEO, said independent analyst Jeff Kagan. “RIM reminds me of a beloved grandparent. You love them, but they are very outdated and sooner or later they will be gone,” Kagan said. If the public perception of RIM’s CEOs is they’re grandparents, uncool and old school thinkers, consumers will surely shun them in favor of the progressive, forward thinking Apples, Androids and Microsofts. If that’s the case, Research In Motion could be in for an even worse 2012. How do you think RIM can change its fortunes around?